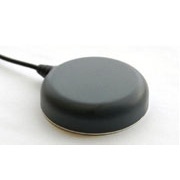 The Tallysman Wireless TW2100 antenna is a professional grade single frequency GPS antenna that supports GPS L1, Galileo E1, and SBAS (EGNOS/WAAS/MSAS) signal tracking. It covers the frequency bandwidth of 1565.42 MHz to 1585.42 MHz. The TW2100 is equipped with a wide band and dual-feed patch element. Each feed is provided with a LNA, a mid-section SAW filter as well as a final stage LNA. It is designed for a wide range of applications, including agricultural, industrial, and military applications. 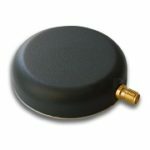 The compact TW2100 antenna is weatherproof with a magnet mount. It also supports many connectors. This antenna offers outstanding circular polarized signal reception , out-of-band signal rejection, and multipath mitigation that reduces interferences caused by reflective signals. 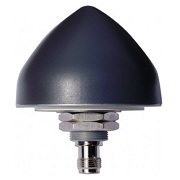 The TW2100 antenna from Tallysman Wireless can be ordered through Blue Planet Geomatics. If you have any question, please fill out the Request Pricing form and send us a message.